Despite the period of interpellation that was already completed, they set again to interpellate their fellow senators who are against the RH bill. Such act in the eyes of the principal proponent of the RH bill Senators Mirriam Santiago and Pia Cayetano is dilly dallying the proceedings by both Enrile and Sotto to prolong the debates when they can consult each other in private instead doing them at the plenary session. 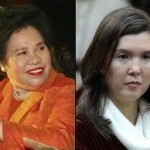 Santiago accused Enrile and Sotto of resorting to delaying tactics, considering the Senate will have three breaks before January when the campaign period takes over for the May 2013 midterm elections. ”They wanted to go back to the period of interpellation. They (Enrile and Sotto) have similar positions (on RH) but they would interpellate each other. 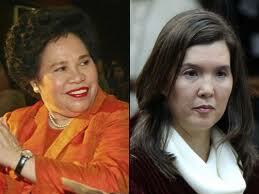 They have already publicly warned that they would kill this bill through amendments,” Santiago said. The irony here is that the debates are now centered between the two male senators who are against and two female senators who are the principal proponents of the RH bill. There are good reasons why the latter favor the passage of the RH bill because as women legislators they are in the position to know exactly what is beneficial pertaining to the welfare of women in this country. The two male senators are of the same sentiments with the Catholic church prelates who are predominantly male and are openly campaigning against the RH bill where welfare of women issues is not of their concern anyway. Credibility wise the two female senators have the upper-hand in terms of conviction to help of what is good for Filipino women compared to their fellow male senators. It’s now high time for the Filipino women electorate to stand up and identify who are those legislators who are against their welfare and be sure not to vote them come election time in 2013.